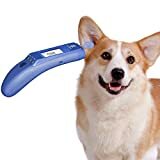 An adult dog's normal ear temperature can range from 100 - 103° Fahrenheit (37.8 - 39.4° Celsius). 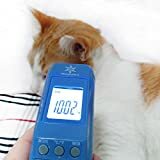 A temperature of less than 99° F (37.2° C), or above 104° F (40° C), is considered to be dangerous and requires immediate veterinary care. 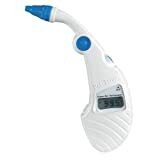 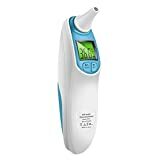 Infrared thermometers which can be inserted deep into the horizontal ear canal are specially made for use in dogs, cats, horses and other animals.